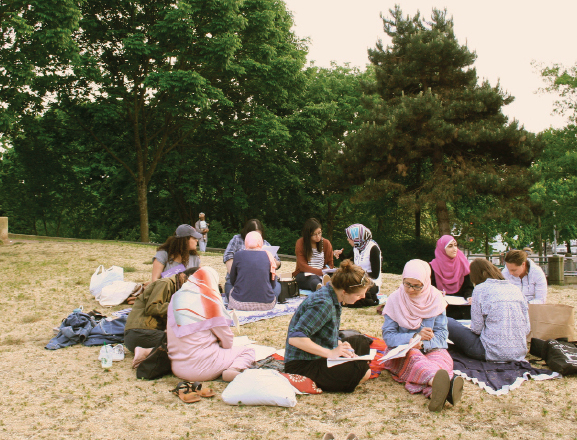 Called Neighbours Learning Together, the program matched ten Arabic speaking women with ten English speaking women, who met every week for ten weeks to spend half the time improving Arabic and half the time improving English. This model, called tandem language learning, is popular in many universities in Europe and now at University of British Columbia. 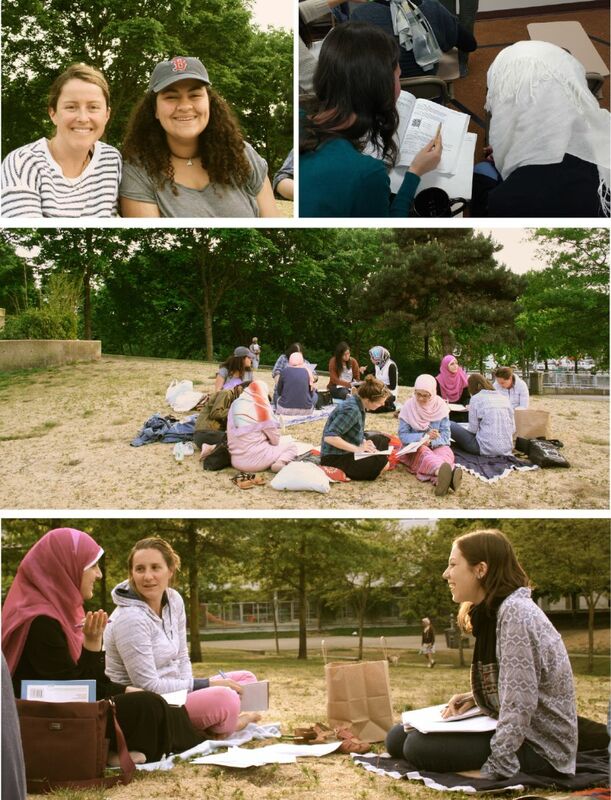 Mary Leighton, coordinator of Neighbours Learning Together, recognized that Arabic speaking women, in particular recently arrived refugees from Syria, could benefit from opportunities to connect one-on-one with settled Canadians. Likewise, settled English speakers could benefit from interactions with enthusiastic Arabic speakers. She reached out to several organizations before finding Ajyal Centre, a religious and cultural hub for the Muslim community, located in downtown Vancouver, where the volunteers were eager to offer space and support for recruitment for the language program. Together with Arabic facilitator Farah Hatim and program assistant Marie Shuman, she provided facilitation and materials to help the partners work together. All three volunteered their time, and paid for materials with a small grant from the University of British Columbia. In their feedback, participants highlighted the importance of simply being able to talk every week and the pleasure of getting to know someone new. All participants would like to continue in the next offering of the program, scheduled for the fall. Mary Leighton hopes to expand the program to offer more spaces, and possibly for men and for Turkish-speakers. All language learners are welcome to learn more and sign up for updates at languagepartnersbc.nationbuilder.com. AND [as for] the believers, both men and women they are close unto one another: they [all] enjoin the doing of what is right and forbid the doing of what is wrong, and are constant in prayer, and render the purifying dues, and pay heed unto God and His Apostle. It is they upon whom God will bestow His grace: verily, God is almighty, wise!